Refunds can be issued through the Family profile page to any payment method you accept in your CampSite account. 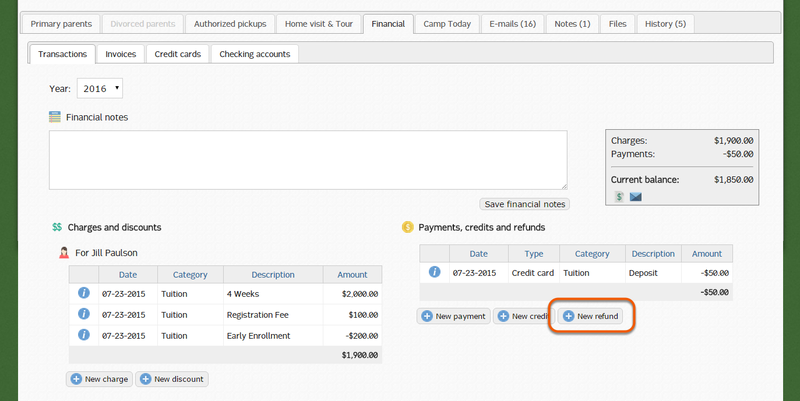 Refunds can be issued on the Financial > Transactions tab on a family profile page, using the New Refund button. You'll be given the option of selecting one of the payment methods to issue the refund to. If you accept credit cards but do not see the method available for refunds, you will need to enable partial refunds for these methods. 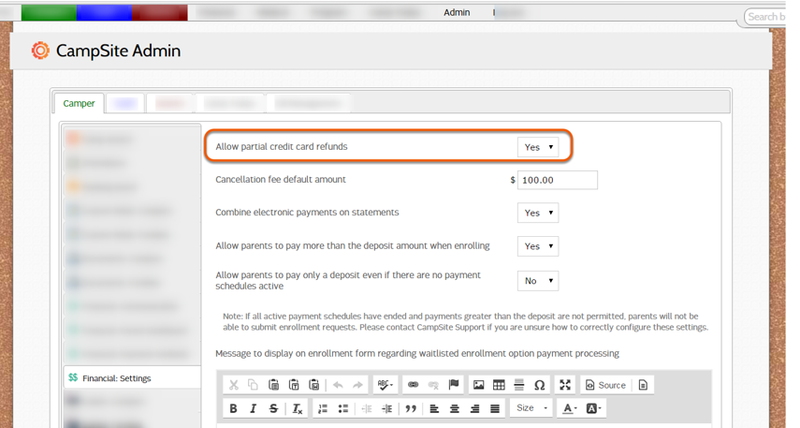 Go to Admin > Campers > Financial: Settings, and switch the setting to Allow partial credit card refunds to "Yes". Credit cards will immediately be available as a refund option.